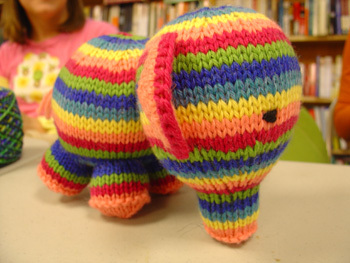 Sara's adorable Elefante (pattern by Susan B. Anderson). 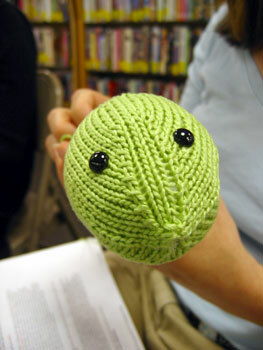 She just finished crocheting the ears and sewing them on this week. 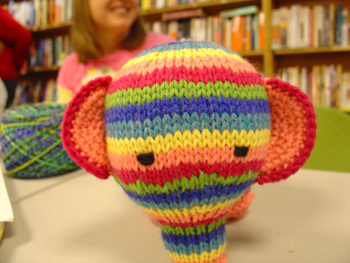 Just look at that cutie little elephant patootie! 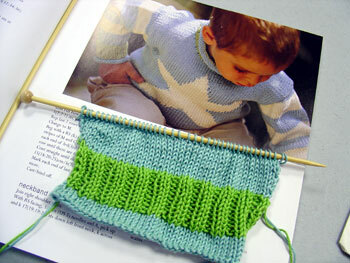 Sara's beginning the cover sweater from Adorable Knits for Tots: 25 Stylish Designs for Babies and Toddlers . 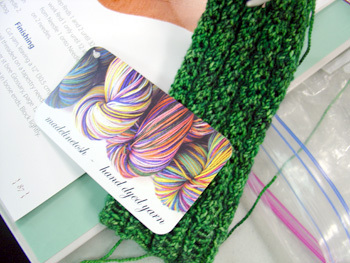 This week Sara was knitting Go with the Flow socks (from Interweave Knits' Favorite Socks ) in some gorgeous new yarn from Madeline Tosh. 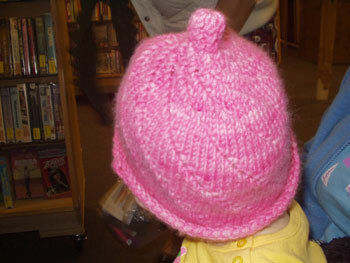 Look at the sweet twisted pumpkin hat Sara just finished for her little one! The yarn is the fabulous Lobster Pot Cashmere and the pattern is from Charmed Knits: Projects for Fans of Harry Potter . 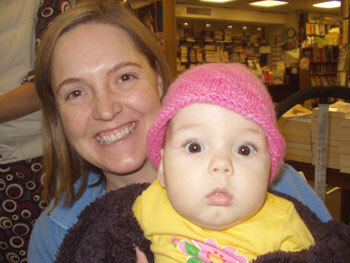 She also made these adorable little mitts for her daughter. 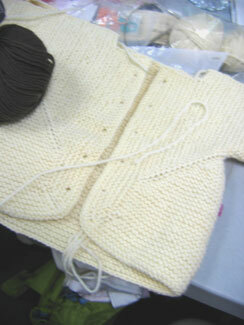 Sara's working on a wonderfully creamy white Zimmerman baby surprise sweater for her daughter. 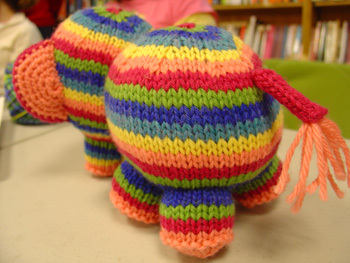 Knitsmiths get their sock on! 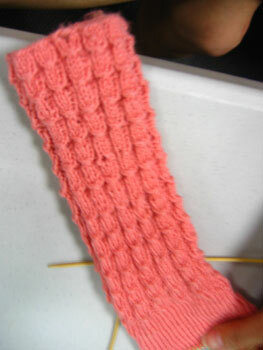 Gayle's pretty peachy mock croc socks underway. 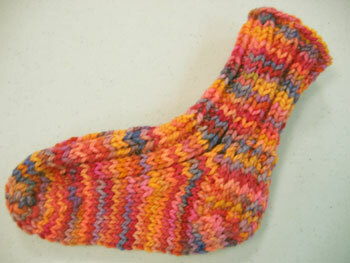 A cutie patootie baby sock by Claire. 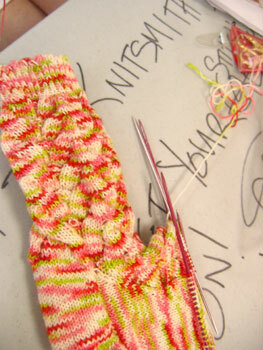 And Sara's working on fabulous monkey socks in Dani's cherry blossom sock yarn. 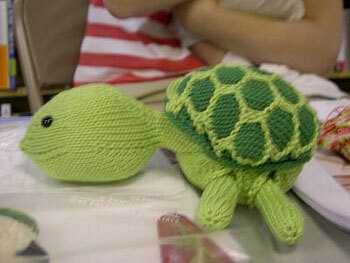 Sara finished her Sheldon! He's so cute and so green! 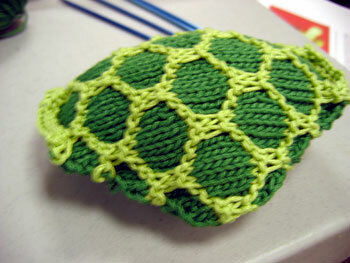 Sara's making a Sheldon turtle for her new baby girl. So cute! !